Still the only affordable option for many homebuyers today, condos have continued to escalate in value with appreciation rates above those of residential homes in many areas. 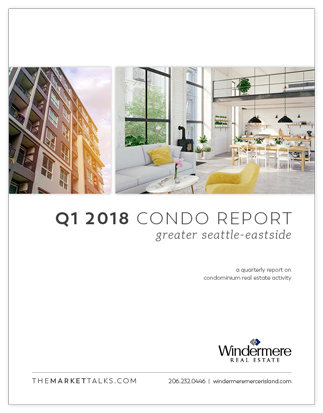 On the Eastside, new condo and townhome developments in Crossroads and Rose Hill drove prices up to new highs in those communities. Richmond Beach and Shoreline benefited from an infusion of new construction standalone condominium ‘homes’ on very small lots.